I want one of those stamps!!!! Well you can have one!! When I send you the rear view mirror. The proverbial old hoarder that has all the unicorn parts we’re looking for! That’s exactly the guy that would use those for postage. When I came inside from the mail box, I could tell these stamps were old. Hello... 6 cents?? Plus they were hardly sticking to the envelope, because the glue was old. I looked on the back side of the envelope, and WHAT?? 6 cent stamps all over. I Googled it before I even opened the envelope. These stamps are from 1968. 50 years old! They sell on Ebay, and Amazon for several dollars for 4-6 stamps . I have more money in these old stamps, than I paid for the water valve. Who does that??? I have gotten several packages over the years with stamps worth more than the face value. Can't understand why they throw money out like that. Just got caught up. Looking awesome! Glad to see there wasn't any hidden rust under the seats and carpet! Those stamps are something else lol! I used my Amazon employee discount, and purchased these tires. They are Chinese tires, but had really good reviews. 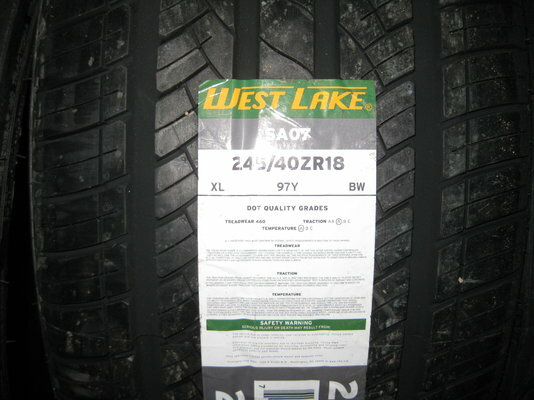 They do not have an aggressive tread pattern, and are only .2 inches taller than the stock tire. 245/40/18 all the way around. Fitment should not be a problem. $233 delivered. I needed center caps. Ebay to the rescue... I found this chrome replacement set with trim rings, for $79 shipped. I'm not real happy with the quality, but this is no show car, so they will suffice... for now. 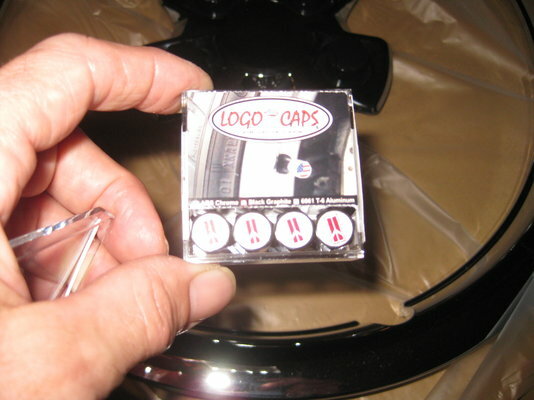 Couldn't resist the Olds " rocket " valve stem caps, LOL. They were $9. Anybody got any used drop springs??? LOL. I also knew when I bought the car that It needed a new steering column. It was VERY wobbly. The tilt bowl was extremely loose. I could have probably fixed it, but someone had also tapped into the wiring harness of the column for some reason. They had cut a few wires, and twisted them back together.. IDK?? The turn signal lever was really loose, as well. Replacement time. I found a nice unit on FB from Mr. Keith's. It was Floor shift, Tilt, and had a brand new ignition lock w/ key installed. $216 delivered. Thanks Keith Burwell. I am cleaning, and prepping it for paint, as I write this. I will install it soon, along with a Jeep steering shaft, that I dug out of my stash. Are you going to leave them black, or are you going to paint them body color? Either way, they look really good! I had my doubts about those wheels, but they actually don't look too bad. I need to see the centercap in place and a full car profile for final judgement. $150 really isn't that bad for a set of 4 adapters.